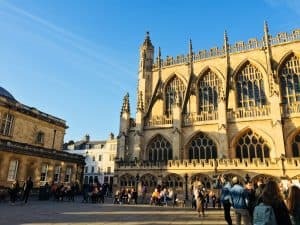 If you’re looking for a spa break with a difference, then look no further than Bath. 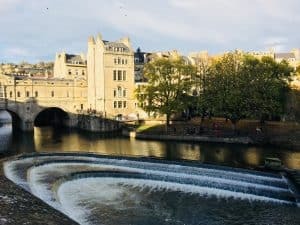 A beautiful Georgian city in the South West of England, you can visit a traditional spa and also learn some history about the waters. 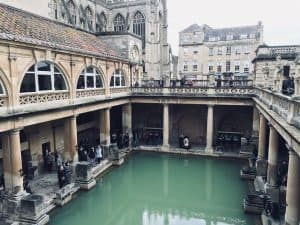 So, with this in mind, my one night break took in a visit to the Roman Baths Museum and a session in the Thermae spa, just a stone’s throw away, where I could relax and chill out guilt free after a cultural morning soaking in the city’s ancient past. The museum can be found in the heart of the city, and deserves at least two or three hours of your time. 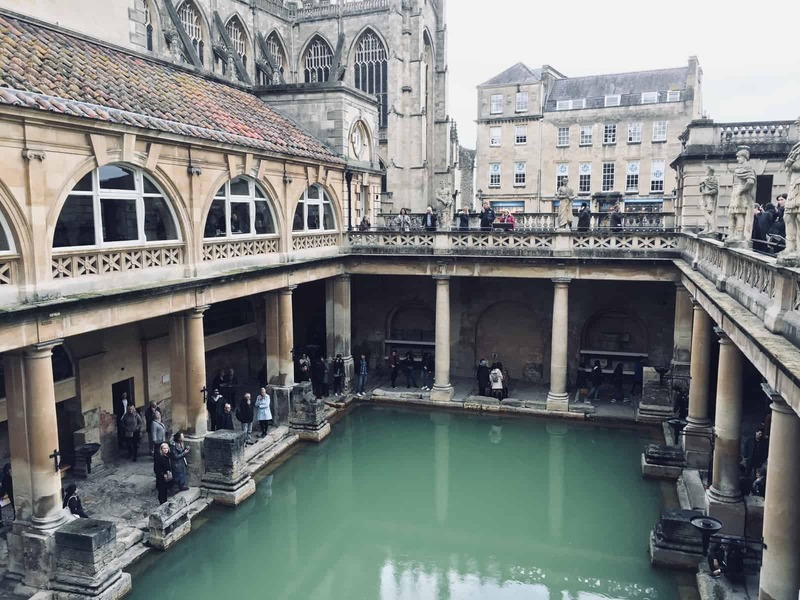 It’s housed on the site of the old Roman baths, known at that time as Aquae Sulis (the Waters of Sulis), where warm springs had formed from rainwater seeping into the local limestone which were then pushed up through cracks in the rocks. 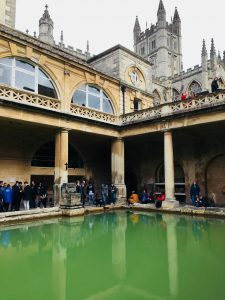 Apparently, Iron Age settlers had long worshipped the springs, but with the Roman invasion, a new era emerged: the Romans channelled the waters and built a sanctuary. It is here that you spend your time. When you walk around the museum and learn how the Romans used the baths, it’s striking how similar it was to modern day spas: not only were the Baths used for bathing, they were also an important hub for socialising or holding meetings (although I’ve never been to a modern spa where board games are played or entertainers wander around! ), and as a place where ailments could be cured (the water apparently contains over 40 minerals). Some also came to worship the Goddess Sulis Minerva (you can see a bronze head from the original temple here) and to make sacrifices or wishes. Excavations of the site uncovered jewellery and coins, which were left as gifts. As with many modern spas, the Romans had saunas, steam rooms, and plunge pools, as well as dressing rooms for visitors; the remnants displayed in the museum reveal how sophisticated the Romans were – to provide these services, they had to line pools with lead, put in piping, raise floors and install underfloor heating. 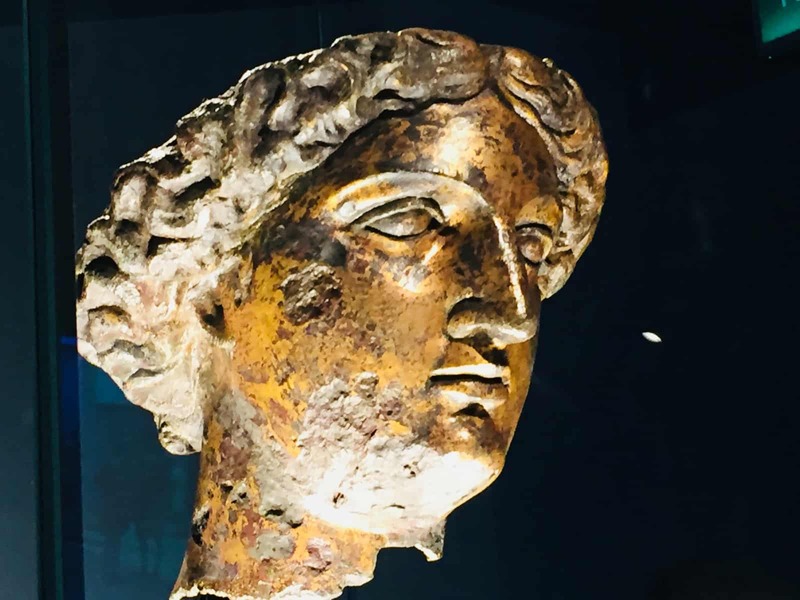 The lengths they went to brought home to me just how significant this site was, something that was reinforced by the displays, which showed how far people were travelling, from all over Europe, to visit Aquae Sulis. The largest of the baths, the Great Bath, is a perfect place to sit and ponder what it must have been like during Roman times. There are alcoves set back in the stone walls where you can recline and soak in the majesty of your surroundings (at first the water looks inviting, until you discover that the vibrant green colour is due to years of algae growing in the water); look up and above you are imposing statues of Roman Emperors flanking the walkway. When you do move on, you will come across the hot water in the King’s Bath, where bubbles form on the surface of the water and steam rises upwards (the temperature reaches 46 degrees). Unfortunately, it’s not possible to take a dip in these waters, although you can sample it before you leave the museum (I did, and I can say that it’s not exactly refreshing as it’s quite warm, but you really can’t leave without trying it). The museum is a must on any visit to Bath. 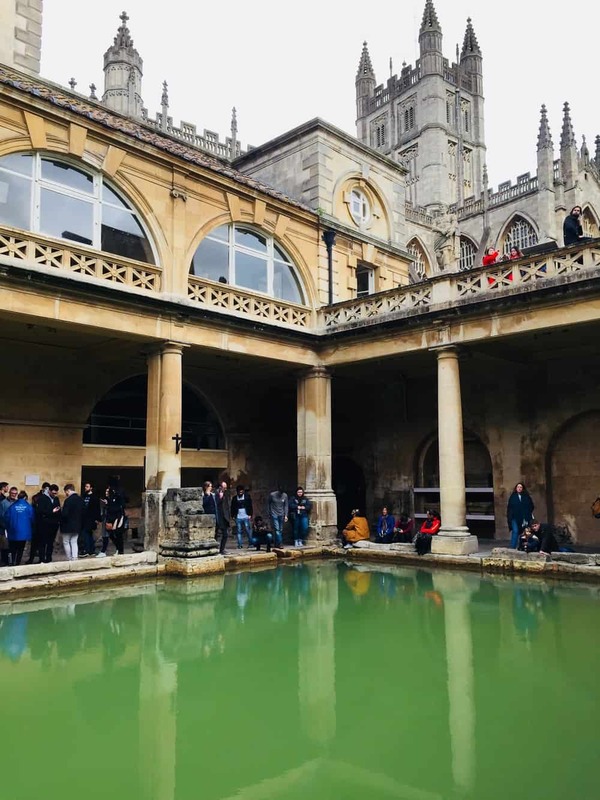 Apart from walking around the Baths where you can imagine yourself in a bygone age, there is a wealth of information on hand and superb artefacts to view. The learning to be had here is vast. I spent almost three hours in the museum. 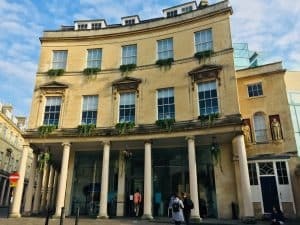 Afterwards I felt like I thoroughly deserved a spa myself; if you feel the same, then you’re in luck as Bath boasts an amazing spa only a few minutes away. 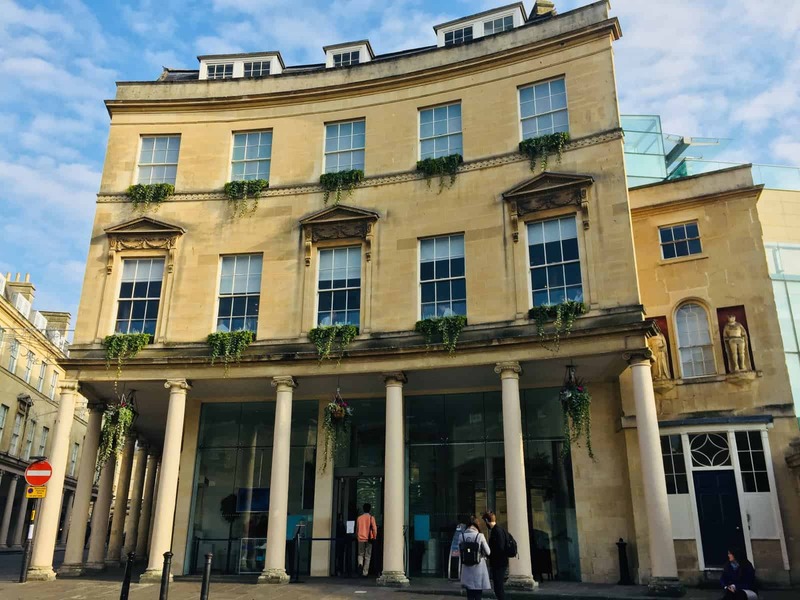 The Thermae harks back to the city’s past as a spa town, with the main New Royal Bath and The Cross Bath, right across the street (according to the information provided by the spa, the latter is an “official sacred site”.) 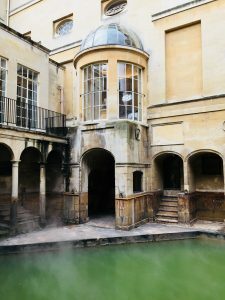 I visited the New Royal Bath, alternating between the spa baths and the “wellness rooms”, which include steam rooms, an ice chamber, an infrared room and a relaxation room. However, the icing on the cake is the rooftop heated bath where you can immerse yourself in wonderfully warm waters (around 33.5 degrees centigrade) whilst peering out over this UNESCO world heritage city. Go on a winter night like I did and you can see the steam rising off the water and the wonderful Bath Abbey lit up behind in the night sky. There’s nothing quite like it and it’s not something you would do on your average Friday night; for me, this really was a magical spa break. 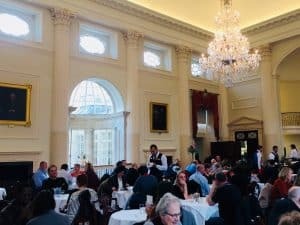 Have lunch in the Pump Room: After your museum visit you can walk through to the Pump Room for lunch, which I would thoroughly recommend. There’s a strong calming ambience to the room which oozes relaxation, with a piano player who tinkles away in the background. It’s great for either a full meal or a quick snack. The Thermae Spa has the large New Royal Bath and the smaller Cross Bath. Both are popular and so I’d advise giving the Spa a call beforehand to find out when the quietest time to visit is – I had to queue for an hour and although I had a fabulous time here, I would have preferred it to be a little less busy. The Cross Bath can be hired for exclusive use. 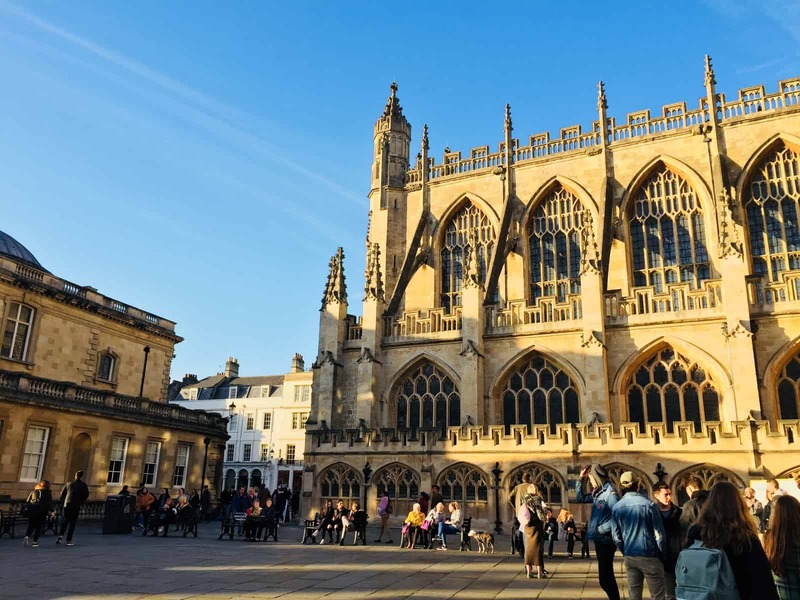 Bath Abbey: this impressive building stands grandly outside the Roman Baths and is definitely worth a visit with its magnificent stained glass windows and the huge bell at the far end as you walk in. 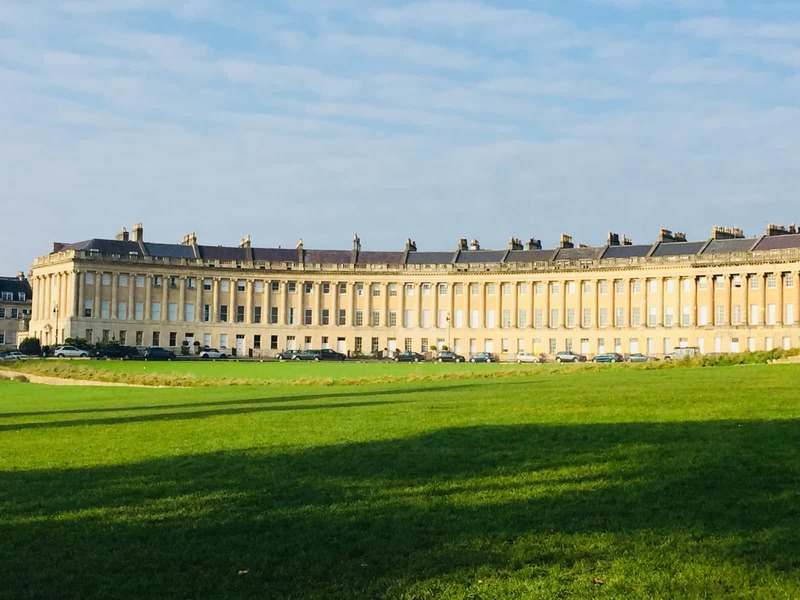 The Royal Crescent: This is one of the not to be missed sites Bath is famous for. 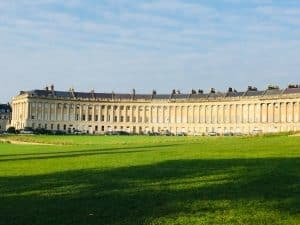 A short stroll from the city centre and overlooking the Royal Victoria Park, it is cited on the Visit Bath website as “without doubt one of the greatest examples of Georgian architecture in the UK”. Its sweeping arc is stunning and photographers will be itching to capture its Georgian splendour. At No 1 the Royal Crescent, there is now a museum that is presented as it would have been looked during the Georgian era. I visited and found it was a great way to learn more about the Georgians; I particularly liked the fact that staff are stationed in each room and are all so well-informed, able to impart an array of fascinating facts and figures to enrich your experience of the tour. 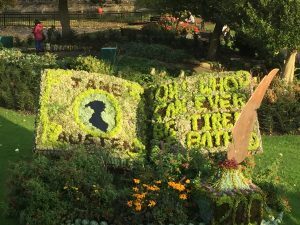 The Jane Austen Centre: it’s obvious when you visit Bath that it is very proud of its connection to the author, Jane Austen, who lived in the city for five years from the start of the 19th century. The Jane Austen Centre provides a wealth of information about its famous inhabitant, complete with a waxwork model of the author; you can even dress up in traditional costume if you want to get a feel for life at that time. Another lasting legacy to the author can be found in the Parade Gardens, a few minutes from the city centre, where what I can only describe as a botanical book has been placed, with a quote from Northanger Abbey, “Oh who can ever tire of Bath?” in full view. It’s a beautiful spot and incredibly peaceful. The park runs alongside the River Avon, not far from its weir and is a pleasant way to spend an afternoon strolling. Visit a traditional team room: a visit to Bath would not be complete with sampling the Bath Bun. 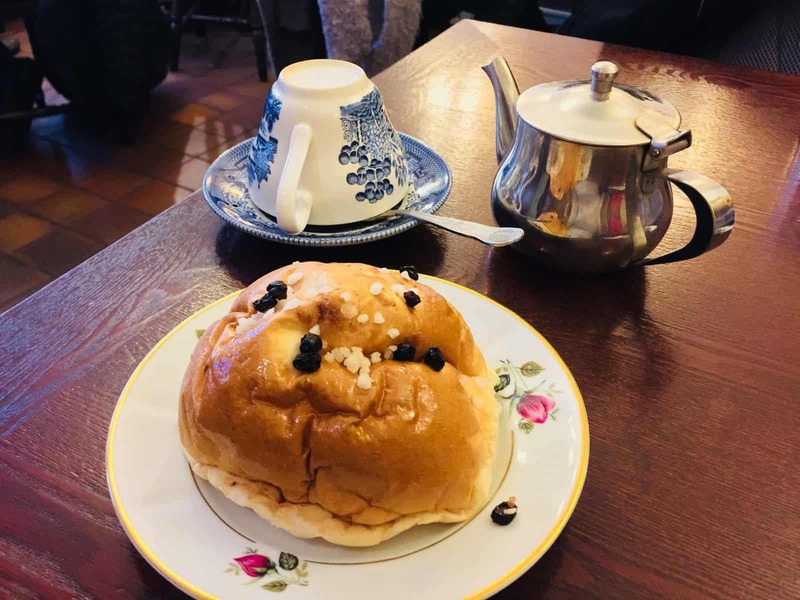 One of the most famous tea rooms is Sally Lunn’s, where the Sally Lunn bun, (said to be the first Bath Bun), is a local delicacy. It’s also housed in one of Bath’s oldest buildings. It’s a popular place to visit, so much so, that you may have to queue for a table. However, there are other plenty of other tearooms nearby where you can also savour the bun’s delights (or a variety of this). Other museums: Bath has impressive selection of museums so if you plan to visit, why not consider checking out the Museum of Bath Architecture, the Victoria Art Gallery, The Holburne Museum, the Fashion Museum Bath, and the Herschel Museum of Astronomy. If spas are a particular indulgence you enjoy, also see my post on visiting a spa in Germany’s Baden-Baden.